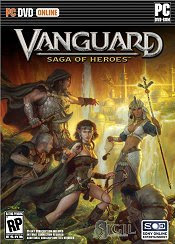 Embark on a journey of epic proportions in Vanguard Saga of Heroes. Explore Telon, a land of a thousand kingdoms, where vast and ancient civilizations have crumbled under war and the relentless march of time. As the people struggle to rebuild their once-great cities, legendary, age-old magics are reawakening to threaten the world. Telon is in desperate need of heroes. Stake your claim — and forge your destiny. Video: DirectX® 9 Compatible computer with keyboard or input device. Vertex and Pixel shader 2.0 compatible hardware with 128MB of texture memory. System requirements subject to change as the game progresses and you may need to upgrade your current system (or obtain a new system) to play the game over its lifetime. Recently Vanguard: Saga of Heroes developers decided to take on a top 10 of questions from the community and answered them the best they could.